5075D Kinsmart - Porsche Cayenne SUV. 1:38 scale diecast collectible model cars. 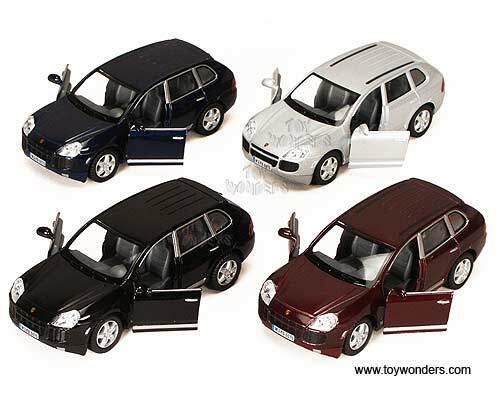 This Porsche Cayenne is a 5" long diecast metal SUV with pullback motor action and opening doors. 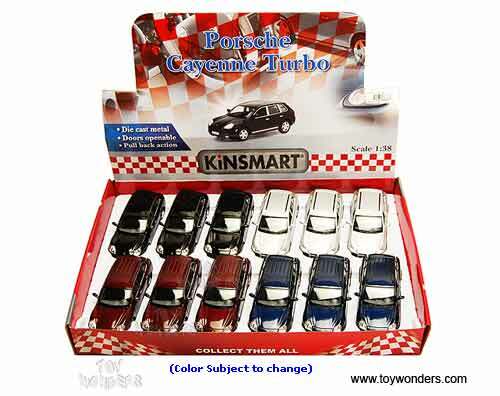 This Porsche Cayenne sports utility vehicle is manufactured by Kinsmart. 12 pcs per display box and in assorted colors. 72 pcs per inner box.